Move Your Vehicle – After impact, new laws may require that you move your vehicle, but only do so if you are without pain and apparent injury. If you are in pain, stunned or dazed, don’t attempt to move; remain in place until help arrives. Call The Police Immediately After a Car Accident – Never be talked out of calling the authorities, because without a police report, you will not be able to prove your case. Give the policeman a full, accurate account of what happened. Be honest and never exaggerate! Gather Witness Information – Attempt to get names, phone numbers and addresses of any eyewitnesses who saw the accident. Give this information to the investigating officer; keep a copy. Report Your Pain – If in pain, report your condition to the officer and request an ambulance. When the medics arrive, give them a full, accurate report of symptoms. Cooperate with their examination and treatment plan. Never attempt to drive if dazed or injured after an accident. Seek Medical Attention – If you don’t seek medical attention immediately and if symptoms last several hours, go to your family doctor or emergency room. Report how the car accident occurred and give a full, accurate account of the symptoms, but never exaggerate. Submit as necessary to exams, x-rays and advice of the treating doctor. If recommended, or if symptoms continue, see a specialist. Take Photos – If you are without pain or apparent injury, exit your vehicle and take pictures with a camera or cell phone to document the automobile accident quickly and completely. Specifically, take pictures of your vehicle, the other vehicle/vehicles, any and all damage, the other vehicle(s) license plate, the driver(s) of the other vehicle(s), the area, the road conditions and the sky. Call a Friend – Call a family member or friend to the scene of the accident, to lend assistance. If possible, ask them to bring a camera to photograph the cars and scenes. Request and Check a Copy of the Accident Report – Get a copy of the car accident report and check it for accuracy. Consult an Attorney – If your injuries/symptoms persist for more than a few days, consult an attorney. Be sure the attorney is a personal injury specialist. Ask him about his experience! Write down all questions you may have about the car accident prior to the interview. Learn all you can about your rights in such a legal case. Ask what fees and expenses you will be required to pay and what he feels he can do to assist you. Don’t hesitate to interview several attorneys and compare their responses. 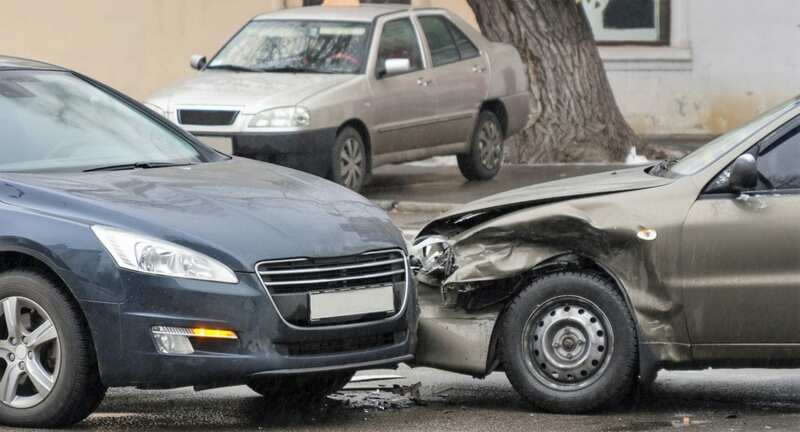 Get two (2) property damage estimates, if you have no collision coverage. Give this to the other driver’s insurance company. Try to get the other driver’s insurer to pay for your medical bills, without signing releases. Keep a Daily Diary – Keep a written daily diary of the aftermath of the accident. List all that happened in the car accident and initial medical exams. Follow your progress and the problems caused in everyday life by your injuries. You should never consider settling your case until all your symptoms have disappeared and you are back to normal. Remember: Your cause of action is the most important protection you have against a truly serious or catastrophic injury. Copies of all medical bills resulting from the automobile accident. A list of which bills have been paid and which have not. A list of mileage to and from all health care providers. Copies of all doctors’ medical reports and dictations in your medical file. Copies of all admit and emergency room records of all hospitals treating you for the car accident. Copies of radiology reports on tests given to you, such as x-rays, CT Scans, MRI’s or Myleograms. Copies of all statements given by any witness to any aspect of the car accident. Copies of your wage records or income tax returns to show the impact of the car accident on your income. Any photograph or videotape of the injuries, accident scene, vehicles or any other aspect of the case. Copies of your insurance policies. Copies of your property damage estimates on your vehicle. Copy of the accident report filed by the police. Don’t be talked into not calling the police. Don’t give recorded statements to insurance adjusters. Don’t sign releases or checks with release language printed on them. Don’t settle your case unless your symptoms are completely gone. Don’t settle your case unless you have spoken to an attorney and have had your rights explained to you and your questions answered. Don’t discuss any aspects of your case with unnecessary persons. What to Do When an Automobile Accident Happens? Call me and let us help. (337) 354-3000.